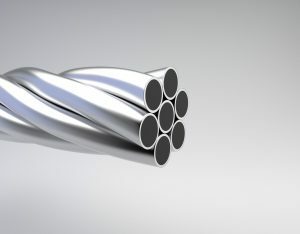 Due to the important thickness of present aluminum in the wire (minimum 10% of its radius), the ACS provides an excellent corrosion resistance, being equivalent to EC grade aluminium. 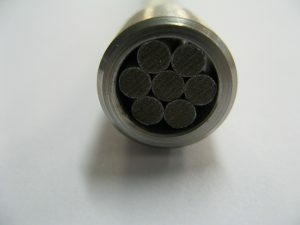 Also the use of ACS combined with aluminium wires in ACSR conductors allows to prevent the galvanic corrosion that can occur when placing in contact different metals. 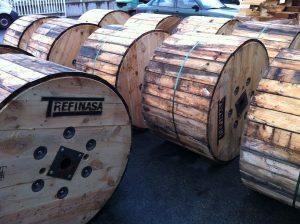 If compared to copper, the ACS presents a conductivity of 14%,20%, 27%, 30% or 40%, in accordance with the layer of aluminium which uses (5%,10%, 14%, 15%, 25% of the radius). If compared to the galvanized steel, its conductivity is three times bigger. 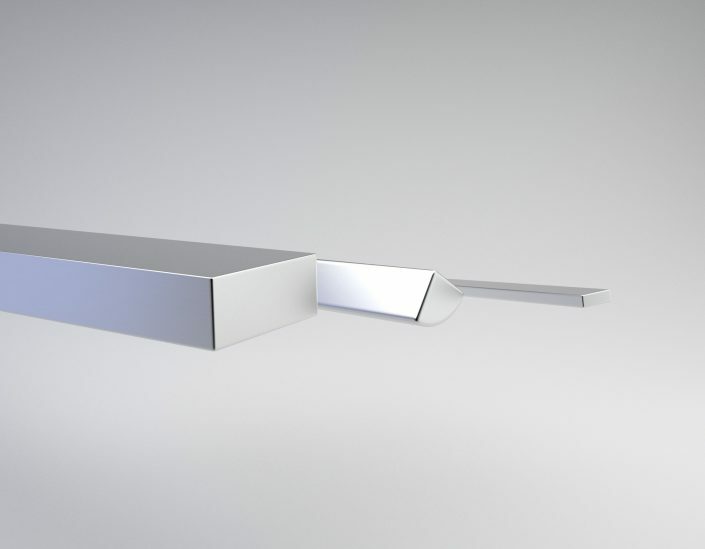 For high frequency application, where the “skin effect” is an important factor (for example, lighting faults) the conductivity of the ACS is approaches 100% of aluminium because the highest electrical current density is concentrated in the external part of the conductor. Among its different wires used in the electric lines, the ACS offer the best ratio resistance-weight between all. Its tensile strength is 8 times bigger than the aluminium wires of same diameter and little more than the double relating to the weight. 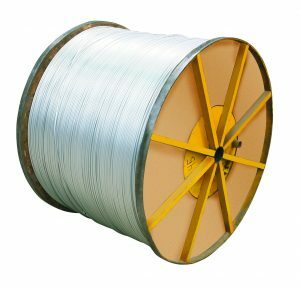 If compared to the galvanized steel wire of same diameter and same mechanical characteristics, the weight of the ACS is 15% less, and maintains its mechanical characteristics through the time due to the excellent protection offered by the aluminum layer. 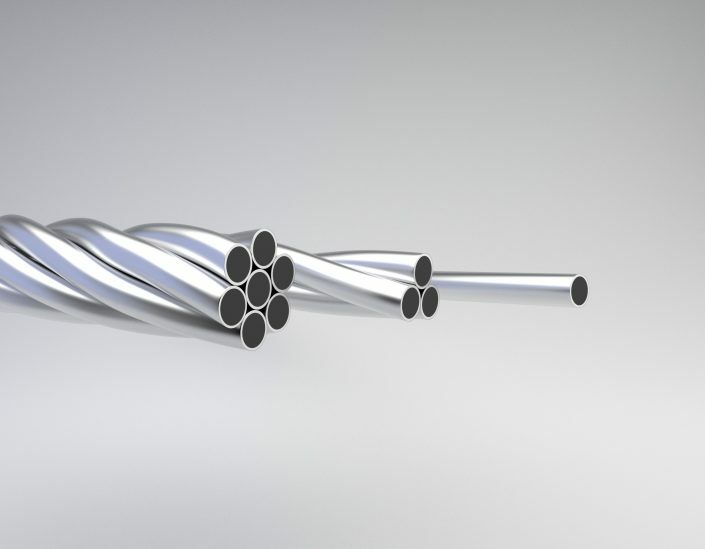 Due to its excellent characteristics, this product is used extensively in the cable industry for the manufacturing of Optical Ground Wire (OPGW), conventional stranded earth wired and steel reinforced cores for phases conductors, all to be used in overheads lines. Also, it can be used in alternative applications an helical hardware for overhead lines or those where the resistance to the corrosion is an important factor. 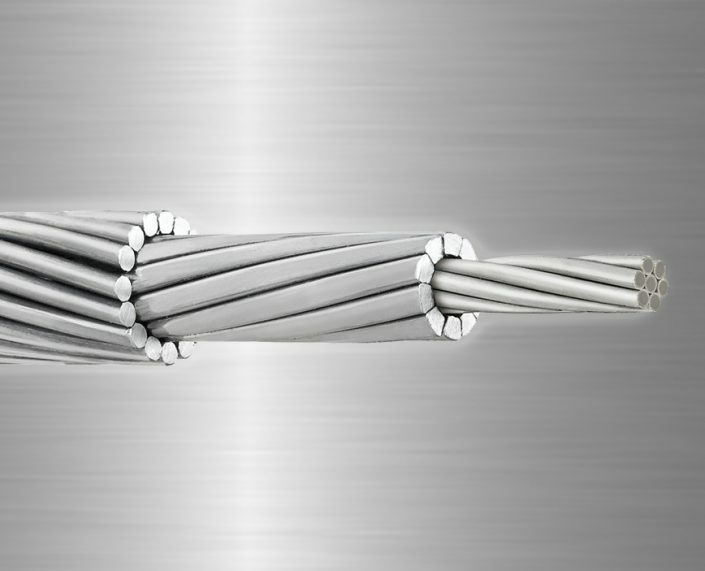 Wires ACS manufactured by TREFINASA fulfills the requirements of the main relative international standards, as known: IEC-1232, EN-61.232 and ASTM-B-415.